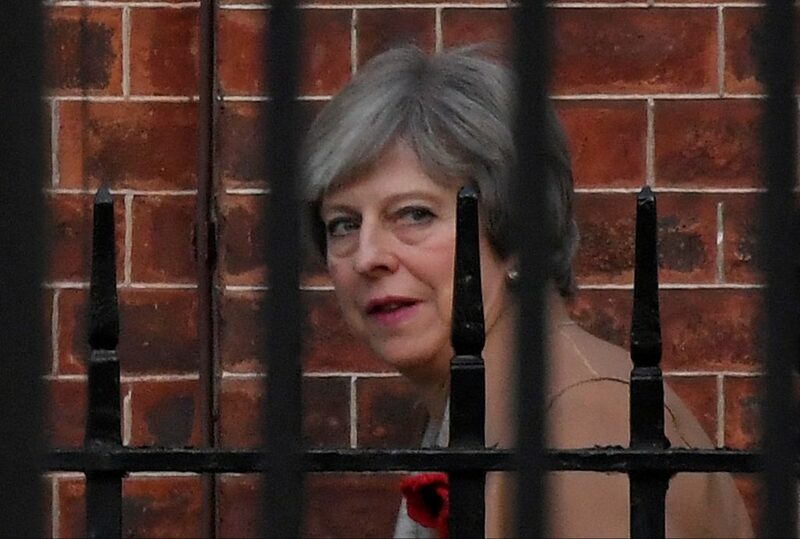 Britain's Prime Minister Theresa May leaves 10 Downing Street in London, Britain November 9, 2017. British Prime Minister Theresa May was due to meet her cabinet on Nov. 14 to seek approval for a draft European Union divorce deal that was struck after more than a year of talks. EU leaders could meet on Nov. 25 for a summit to seal the Brexit deal if the cabinet approves the text, diplomatic sources told Reuters. However, pro-Brexit parliamentarians in May’s Conservative party accused her of surrendering to the EU and said they would vote the deal down. Northern Ireland’s Democratic Unionist Party, which props up May’s minority government, also questioned whether the agreement would win parliamentary approval. Sterling weakened slightly to $1.296 by 0900 GMT on Nov. 14.